As for the ingredients, if you can, go with organic lemons as the peels will be sitting in the mixture, and organic whole milk. You can use lower fat milks but the mixture won't be as thick or nourishing. 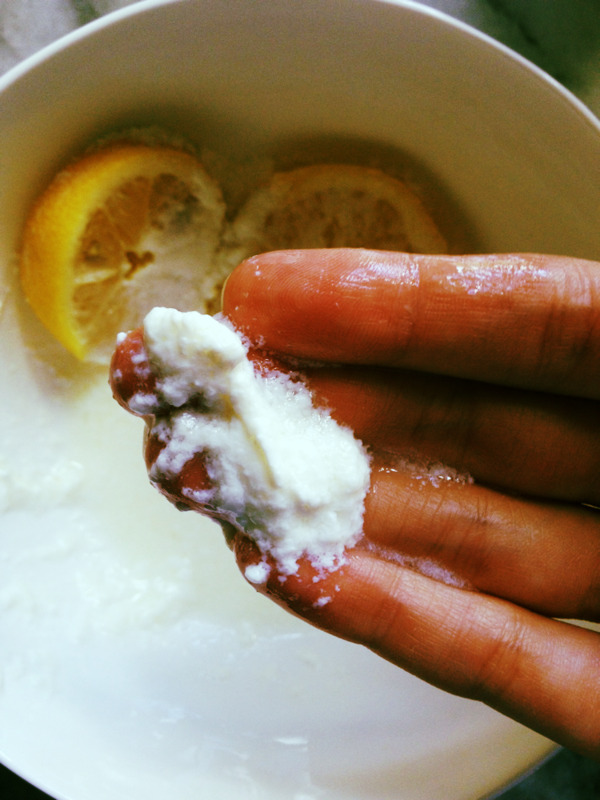 Of course, if you don't have organic, just give the lemons a good scrub and cross your fingers that your non-organic milk is pus free (likely not). Just don't think about it. No need to measure, not like I would have anyways. 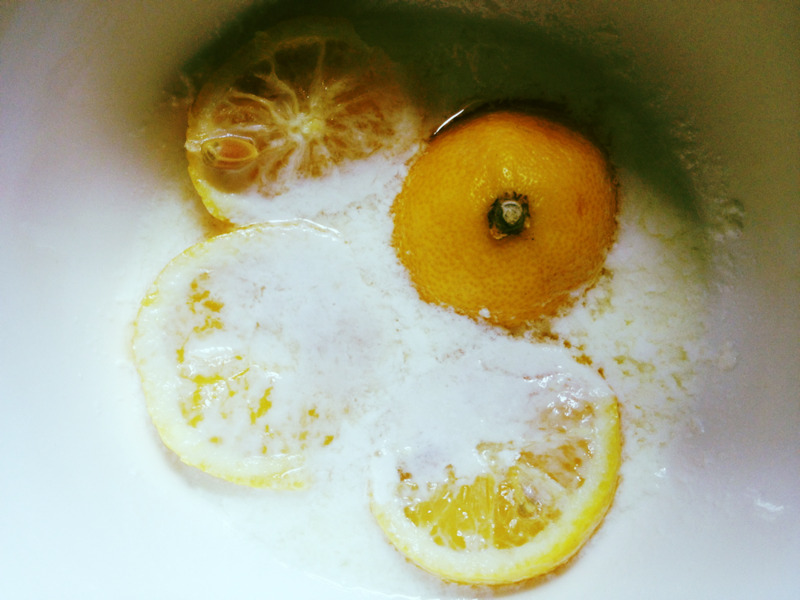 Cut up a few slices of lemon, give them a good squeeze before throwing 'em in the bowl, and add milk to cover them. Leave it out of the fridge so that the the milk can get good and sour and enzyme-ey. Set it out in a place where cats won't eat it. It turns out they love this, and will happily puke it up later over your favorite rug. Here's the annoying part: You have to wait 3-4 hours for the milk to curdle. Yeah, waiting is the worst, especially when this poor mixture has to be constantly fending off your cat's advances. But it's worth it, in a few hours you have a disgusting looking curdle that will make your face glowy and dewy. After 4 hours. I honestly don't know what happened to one of the slices of lemon, I blame our house gnome. Time to slap that S$%^ on your face. It actually has a really cooling feel which is perfect for the summer. Leave on at least 20 minutes, but I try to leave it on longer. You might feel a bit of a tingle at first, but goes away quickly. Obviously, if your skin feels like it's on fire, this is clearly not the DIY for you and take it off right now. If you have time, maybe even follow up with a honey mask if you're feeling really pampering for some added moisture and softness. One last word to the wise - skin might be a bit sensitive to sun after this, so maybe do this at night, yes? Overall, my skin looked really glowy and soft after, and after trying this about 4 times I can already see my marks are fading a bit. Brilliant.